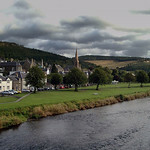 Peebles in Scottish Borders, is only a 45-minute drive from Edinburgh, and makes a convenient base for a tour of the Tweed valley. Our visitor guide to Peebles includes details on what to see and do, walks around the place and self catering accommodation options. 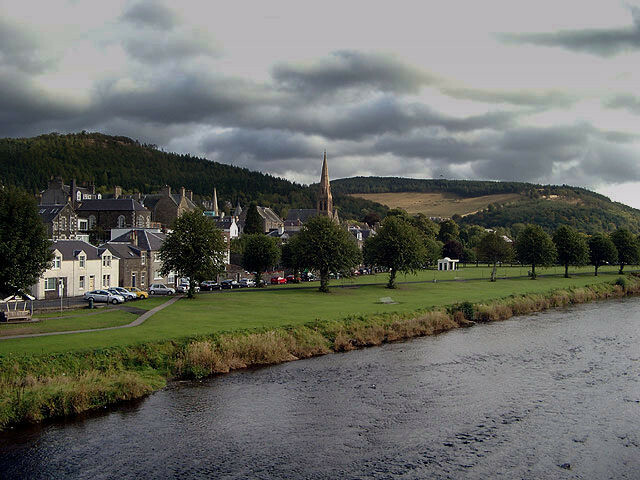 Due south of Edinburgh is the pleasant little town of Peebles, on the banks of the river Tweed, surrounded by wooded hills. The river here is wide and fast, whereas the pace of life on the town's broad High Street is altogether more sedate. Things liven up somewhat during the week-long Beltane Fair, the great Celtic festival of the sun which is held in June and marks the beginning of summer. Another good time to visit is during the Peebles Arts Festival, which is held over two weeks at the end of August and beginning of September. The best place to eat is the Cringletie House Hotel which serves delicious Scottish cuisine at mid-range/expensive prices. Open 1230-1400, 1900-2100. 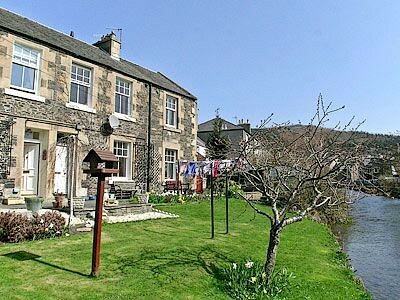 Otherwise, there's the Horse Shoe Inn, Tel 730225, at Eddleston, about 5 miles north of Peebles on the A703. It serves very good, moderately priced food throughout the day and evening. A great place in the centre of town is The Sunflower Restaurant, 4 Bridgegate, Tel 722420, which serves coffee, cakes and Mediterranean style lunches - as well as evening meals on Thu, Fri and Sat. There's lots of choice there for veggies. The Park Hotel, on Innerleithen Rd, does decent bar meals. An excellent deli in town is The Olive Tree, at 28 South hermitage Street Tel: 01387 375479. It sells a wide selection of continental delicacies and local produce and specializes in cheeses. There are hourly buses to Edinburgh (1 hr), Galashiels and Melrose and, less frequently, to Selkirk and Biggar, with First Edinburgh, Tel 720181. Buses stop outside the post office, near the TIC, on Eastgate. The town's Tourist Information Centreis on the High St, Tel. 720138, Email Peeble Apr and May Mon-Sat 0930-1700, Sun 1000-1400; Jun Mon-Sat 0930-1730, Sun 1000-1600; Jul and Aug Mon-Fri 0900-2000, Sat 0900-1900, Sun 1000-1800; Sep Mon-Sat 0930-1730, Sun 1000-1600; Oct Mon-Sat 0930-1700, Sun 1000-1400; Nov and Dec hours vary. All hours may change. 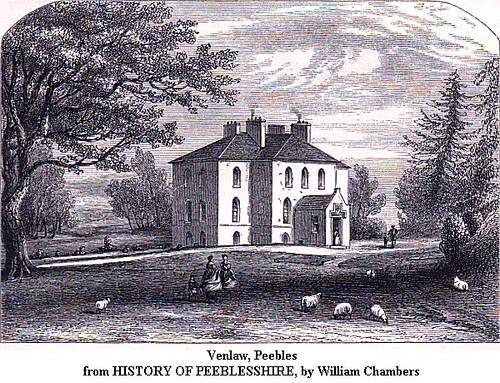 The Tweeddale Museum on the High Street is housed in the Chambers Institute, (no website) which was a gift to the town from William Chambers, a native of Peebles and founding publisher of the Chambers Encyclopaedia. It houses two notable friezes: one is a copy of the Elgin marbles taken from the Parthenon in Athens (and yet to be returned to their rightful home); the other is the 19th-century Triumph of Alexander. Temporary exhibitions are also staged throughout the year. Info: Apr-Oct Mon-Fri 1000-1200 and 1400-1700, Sat 1000-1200, 1400-1600; winter hours vary. Free. 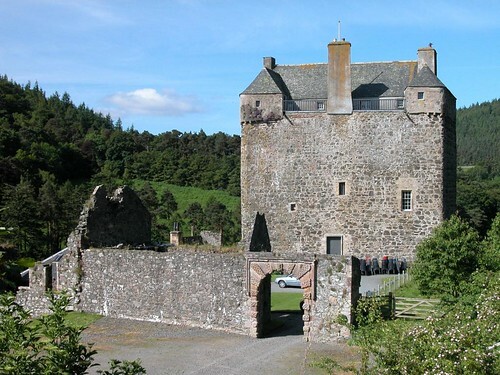 Just to the west of town, on the A72, is Neidpath Castle, perched high on a rocky bluff overlooking the Tweed. The medieval Tower House enjoys an impressive setting, but there's little to see inside which would justify the entrance fee. Info: Easter-late May holiday daily 1600-1900, late June-early Sep 1100-1800. £3, £2.50 concession. 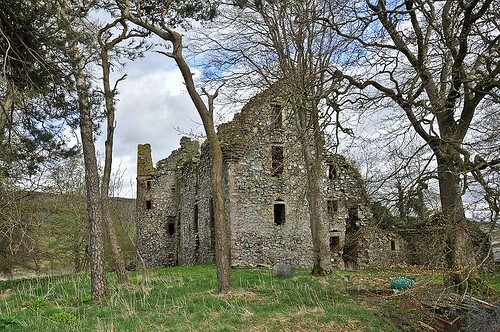 The castle can be reached by following the trail along the River Tweed from Hay Lodge Park in town. The walk passes a beautiful picnic spot beneath the castle and you can swim in the river (but take care). The trail continues through lovely wooded countryside and you can cross the river and return at Manor Bror (a three-mile round trip) or further on at Lyne footbridge (an eight-mile round trip). Details of this and other local walks can be found in the Popular Walks around Peebles leaflet available at the tourist office. Two other good woodland walks are in Glentress Forest, just over a mile east of town on the A72, and Cardona Forest, on the south side of the Tweed, four miles out of town on the B7062. Also on the B7062 to Traquair about two miles from town, is Kailzie Gardens with a walled garden, greenhouses, woodland walks, trout fishing pond and excellent courtyard tearoom. Info: Apr-Oct daily 1100-1730; Nov-Mar 1100-1700 £2. Tel 720007. Eight miles southwest of Peebles, a mile beyond the village of Stobo on the B712, is Dawyck Botanic Gardens , an outstation of Edinburgh's Royal Botanic Garden, which contains a fine collection of trees and shrubs and landscaped wooded paths. Info: Daily Mar-mid Nov 0930-1800; closes 1600 in Nov. Tel 760254. Cringletie House Hotel, Tel 725750, Fax 725751, Cringletie House, 2 miles north of town just off the A703 to Edinburgh. 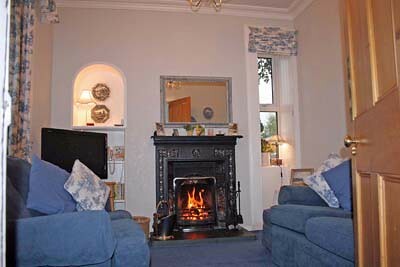 Lovely 19th-century baronial house set in 28 acres of grounds, with an excellent restaurant and friendly service. 1850w Georgian style Guesthouse, walled garden, working farm,panoramic views to the South of Edinburgh in Scottish Borders. Peebles Hotel Hydro, Innerleithen Rd, Tel 720602, Peebles Hotel Hydro Large resort hotel with excellent sports facilities and a whole host of activities for kids, good restaurant. The Green Tree Hotel, 41 Eastgate Tel 720582, and the Kingsmuir Hotel , Tel 720151, Kinsmuir, which does good bar meals. About 3 miles from Peebles is the deluxe Macdonald Cardrona Hotel Golf & Country Clab. 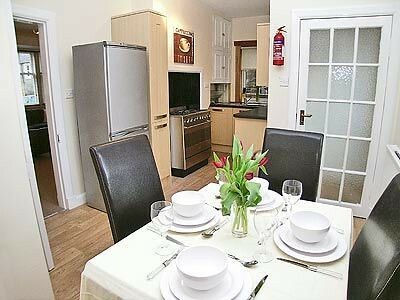 A large luxury hotel with excellent leisure facilities and great food. There's camping at Rosetta Caravan & Camping Park, on Rosetta Rd, a 15-min walk north of the High St, Tel 720770. Open Apr-Oct.